SKU: MM50-0122 Categories: Santa Sacks, Glittering Gold Christmas, Scandi Christmas, Natural Kraft Christmas, Gift Bags, ON SALE! 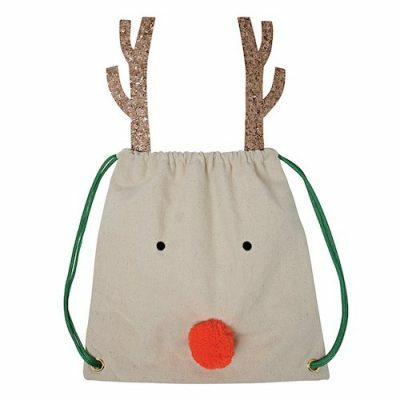 The Reindeer Back Pack is sure to make your little one happy and will make the most perfect gift this Christmas. You can use to as a santa sack too. The back pack features a cute reindeer face with a pom pom nose and gold glitter antlers.